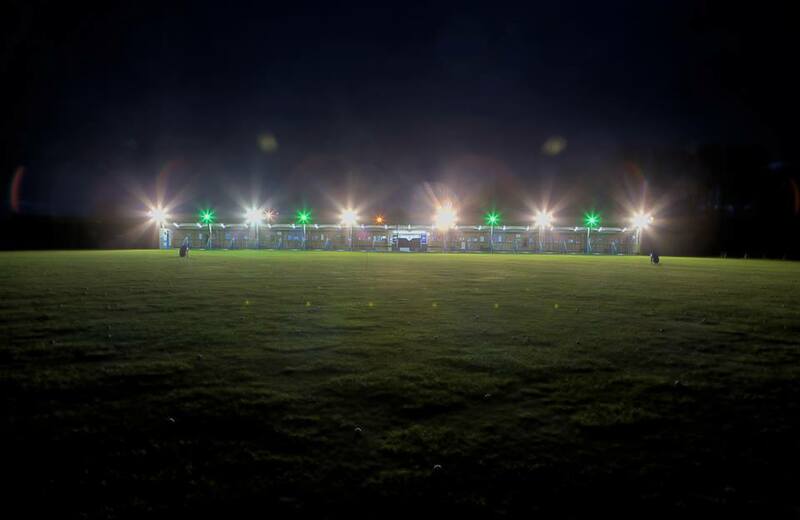 Our driving range is regularly refered to as the best in Kent! It has a fantastic outfield to hit to, with top quality TrueStrike and TrueTee mats, or hit from our grass hitting area. In addition, we use the latest Srixon range ball to replicate the feel of a golf ball you would use on the course. 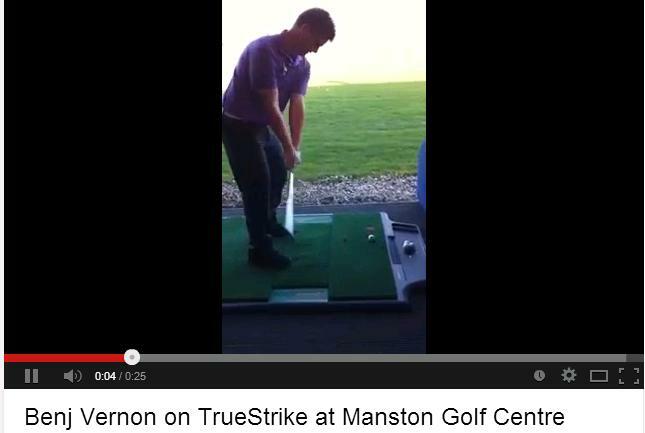 Check out our YouTube video to see our TrueTee mat in action with our very own Benji Vernon. 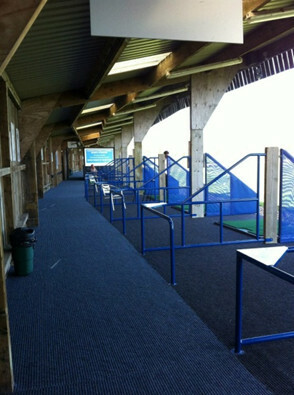 In April 2013 our driving range underwent a full refurbishment. We carpeted the entire driving range and replaced all of the mats with the latest TrueStrike and TrueTee mats. We chose TrueStrike for our mats because after extensive research they proved to be the mat that most accurately replicates the feel of grass. TrueStrike's forgiving strike surface and divot simulating subsurface mean that the shock and vibration associated with hitting from traditional mats is substantially reduced. 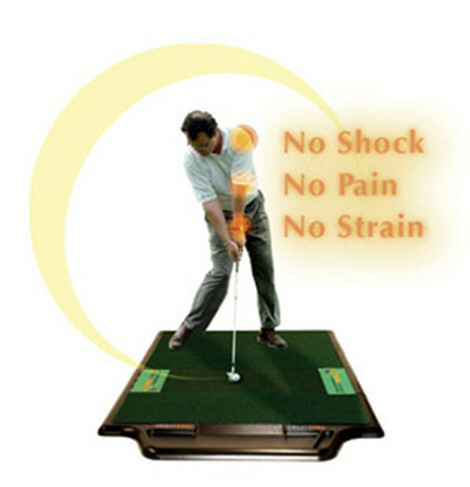 Rather than the vibration caused at impact traveling up the club shaft and into the arm of the user, as on a traditional golf mat, it is absorbed into the gel pad below the strike surface. 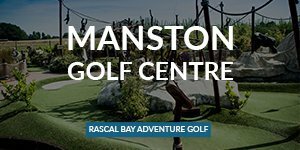 Unlimited Balls 5pm-7pm, 7 days a week for just £5 for as many balls as you can hit. Club hire included. Range: A driver and an iron £2.50 (juniors £1). 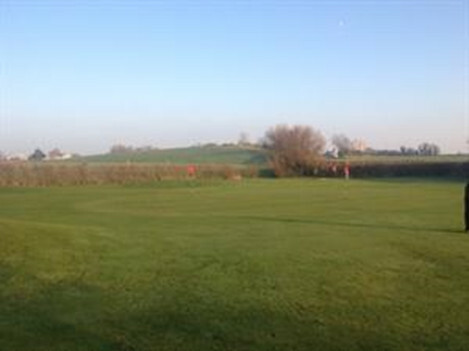 Course: Half sets £5 (juniors half price). The shortgame area comprises a putting green, a chipping green and two bunkers. Balls are hired in tubes of 20 for £3 with no time limit and you return them after the end of your session. These are for players who prefer playing from real grass we have a 1000m² grass tee. 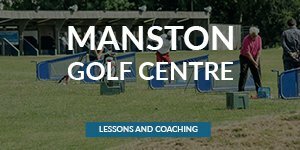 We have a double covered and floodlit coaching bay with a video room and an office, we also have two grass tees for coaching. We have 4 full time qualified coaches and 2 part time ones. Make the game easier and more enjoyable, Book your session with one of our staff today. 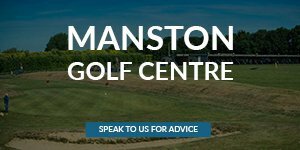 We are always pleased to see groups of new golfers at Manston some we coach and some look after themselves. This includes schools, companies, clubs and disabled groups. All are welcome and we would encourage pre-booking. We only use top quality Srixon range balls We have mats which are 7 feet wide giving more space for both right and left handed players. There are also 3 tee heights available. These are the latest softest mats on the market. For serious practicers who prefer to come at quiet times Monday to Sunday from 5pm-7pm, £5 for an unlimited number of balls on the range.